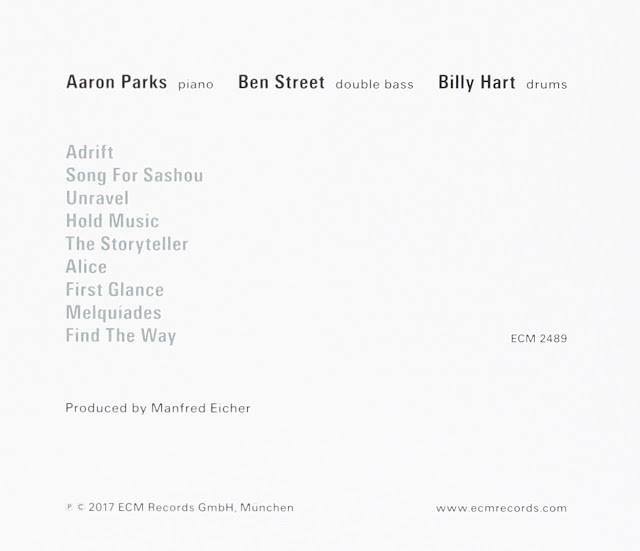 For the second ECM album by Aaron Parks – following the solo release Aborescence, which JazzTimes praised as “expansive, impressionistic… like a vision quest” – the prize-winning pianist has convened a trio featuring bassist Ben Street and drummer Billy Hart. 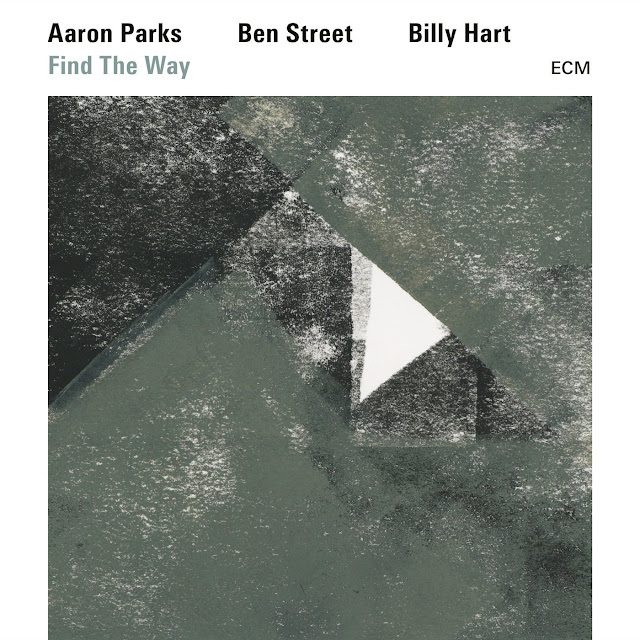 The rhythm pair, which also teams in Hart’s hit quartet for ECM, blends fluidity and strength – what Parks calls “an oceanic” quality, producing waves of energy for the pianist to alternately ride and dive into. Find the Way has the aura of a piano-trio recording in the classic mold, from melody-rich opener “Adrift” to the closing title track, a cover of a romantic tune Parks grew to love on an LP by Rosemary Clooney and Nelson Riddle. Parks also drew inspiration for this album from the likes of Alice Coltrane and Shirley Horn (for whom Hart played); space and subtlety are a priority. 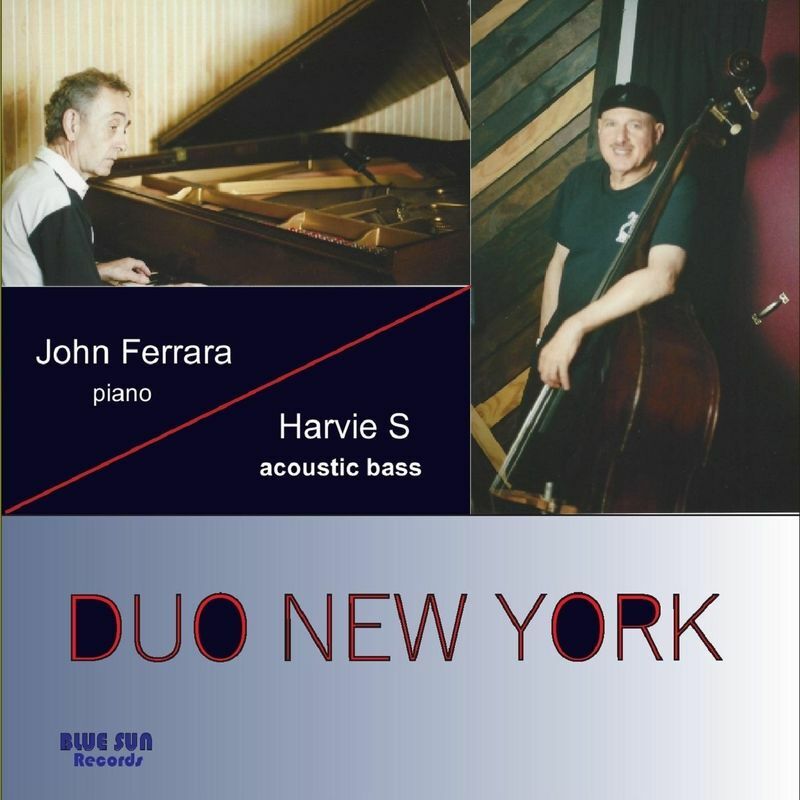 John Ferrara is a pianist, composer, & arranger, who has performed with scores of jazz and non-jazz luminaries since becoming professional musician in 1963.These include Buddy Rich, Joe Williams, Nelson Riddle, Pacquito D'Rivera, Chico Hamilton, Philly Joe Jones, Major Holley, Al Grey, Doc Cheatham, Al Cohn, Hal Crook, George Mraz, Peter Donald, Glenna Gibson, Jack Wilkins, Clark Terry, Carmen Leggio, Charles McPherson, George Young, Lou Soloff, Joe Newman, Herb Pomeroy, and others. He has played shows with Suzanne Somers, Vaughn Monroe, Bob Crosby and many other notable performers. In addition to publishing two jazz piano books, he taught at several schools including the Berklee College of Music (1978-81). This is his second CD, the first one being “Intervals of Light”. John’s style reflects his affinity for Bill Evans, Oscar Peterson, Phineas Newborn, Hank Jones, Lennie Tristano, Bud Powell, and others. The tune selection includes two standards, “The Touch Of Your Lips”, and the Bill Evans masterpiece, “Turn Out the Stars”. The others are all originals written by Mr. Ferrara specifically for this recording date. Harvie S is an award winning bassist, educator, composer, arranger, and producer. A legendary bassist, he has performed and recorded with Stan Getz, Chet Baker, Dexter Gordon, Tony Bennett, Ray Baretto, Michael Brecker, Jean Pierre Rampal, Paquito D’Rivera, Gil Evans, Art Farmer, Mark Turner, Jim Hall, Stefon Harris, Billy Hart, Lee Konitz, Yusef Lateef, Dave Leibman, Joe Lovano, Pat Metheny, Paul Motian, Chico O’Farrill, Danilo Perez, Maria Schneider, Zoot Sims, Toots Thielemans, Ray Vega, James Williams, Phil Woods, Louie Bellson and countless others. He can be heard on twenty albums as a leader, fifteen as a co-leader, and over four hundred albums as a sideman. Harvie’s album with the legendary Sheila Jordan Harvie S duo is a magical live performance released on High Note Records in 2012 called “Yesterdays”. 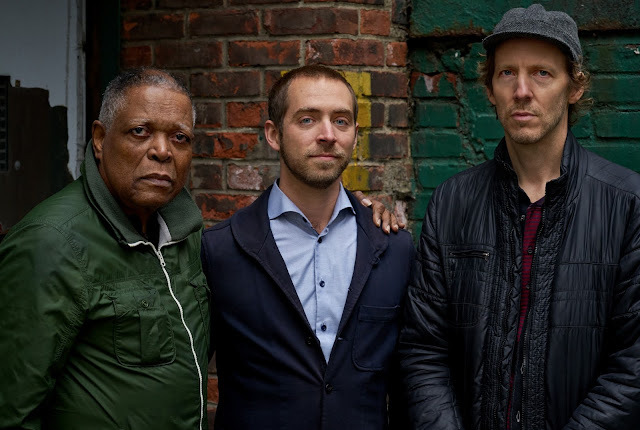 Jazz times included it in the best 100 recordings of 2012. Imagine how fulfilling it must be for a musician to grow up under the influence of your hometown’s major jazz festival, travel around the world in quest of musical development, and then return to your hometown to perform at that same festival. Then, take it a step further and imagine delivering a triumphant performance that brings down the house. 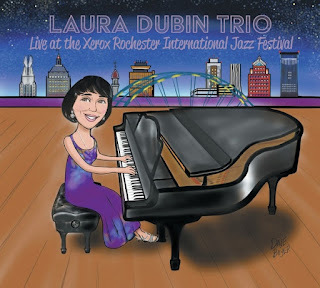 Well that’s exactly what happened for the remarkable pianist Laura Dubin, fully evidenced with her extraordinary new album, Laura Dubin Trio Live at the Xerox Rochester International Jazz Festival. 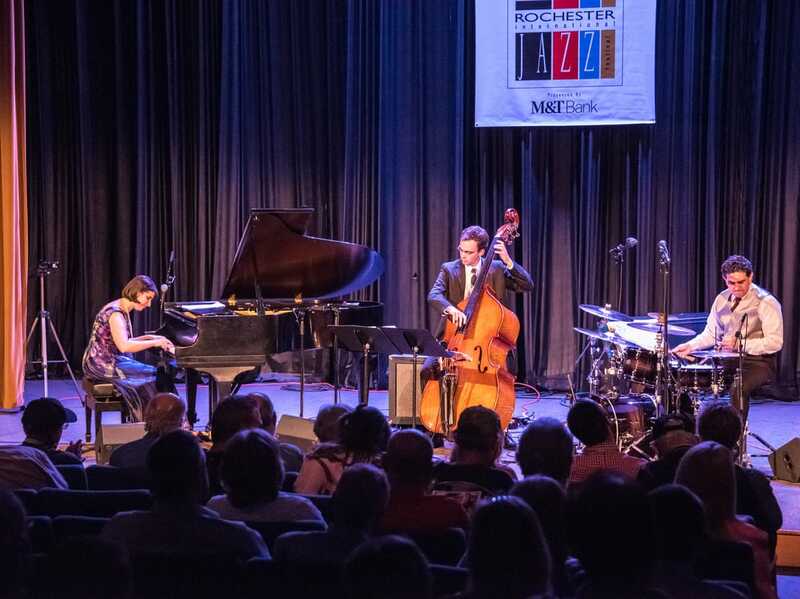 In the company of her life and musical partner, brilliant drummer Antonio H. Guerrero, and the outstanding bassist Kieran Hanlon, Laura’s trio embodies the essence of synergy and unity of purpose that is essential for jazz and all creative music at its highest level. 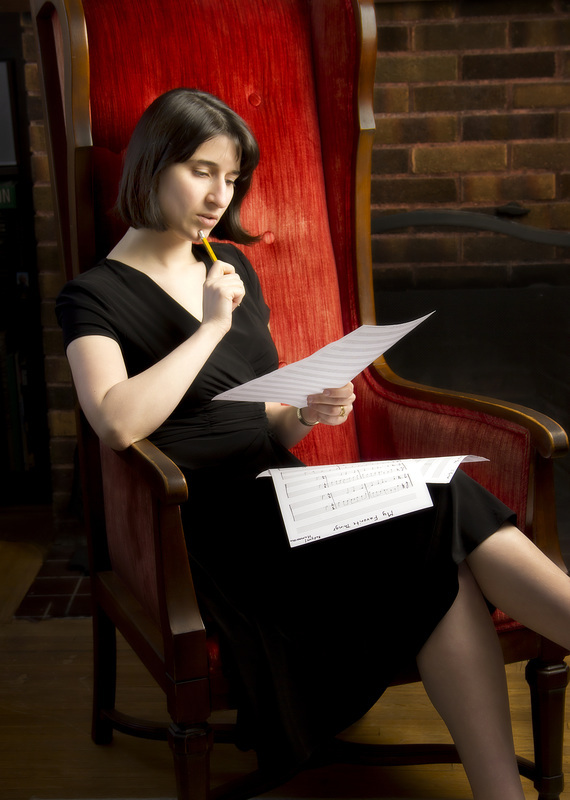 Each piece is thoroughly conceived and structured to provide a fully conceptual canvas to paint the pictures of adventurous exploration and spontaneity that are at the heart of Laura’s music. 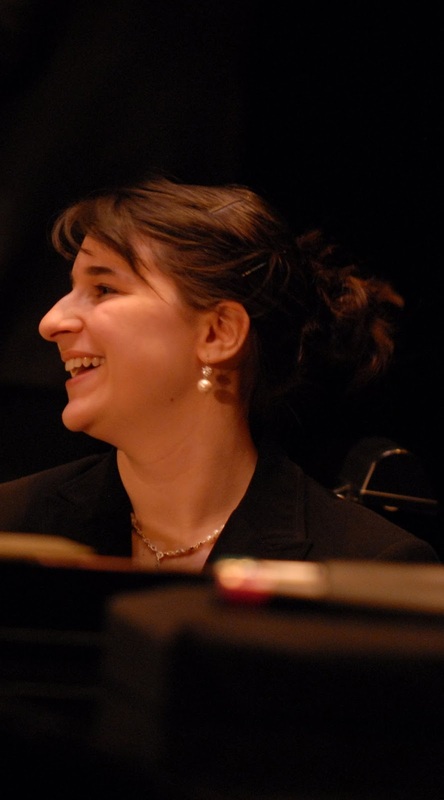 Laura’s consummate skills as a pianist are deeply steeped in the entire tradition of jazz piano, giving her a total command of the vernacular. Combining this with her mastery of the western classical piano tradition, her stunning musicianship is on full display throughout. It’s never in any showy or ostentatious manner, but rather in her being able to deftly apply her flawless technique in the perfect manner to tell the compelling stories she depicts through her artistry. Guerrero and Hanlon are the ideal partners – not sidemen, but rather collaborators. Guerrero anticipates every nuance of Laura’s playing, dancing a pas de deux with her at all times, while Hanlon provides the thrust and body that buoys the music while also setting it free. Their interplay is marvelous and their solo segments are fully conceived within the musical structure – Guerrero’s often powered by Laura’s support, and Hanlon’s always lyrical and fluid, with his arco playing cello-like in its alluring texture. The repertoire is truly enchanting – calling upon so much of what has been so influential upon Laura from both the jazz and classical side, not only in terms of the specific pieces, but also connected with those who have been so essential to the development of her own musical vision. The 21 tracks include 27 separate compositions, including ten Dubin originals – all imaginative and beautifully crafted– and a rich assortment of classics from the repertoires of jazz, the Great American Songbook and European classical composers. 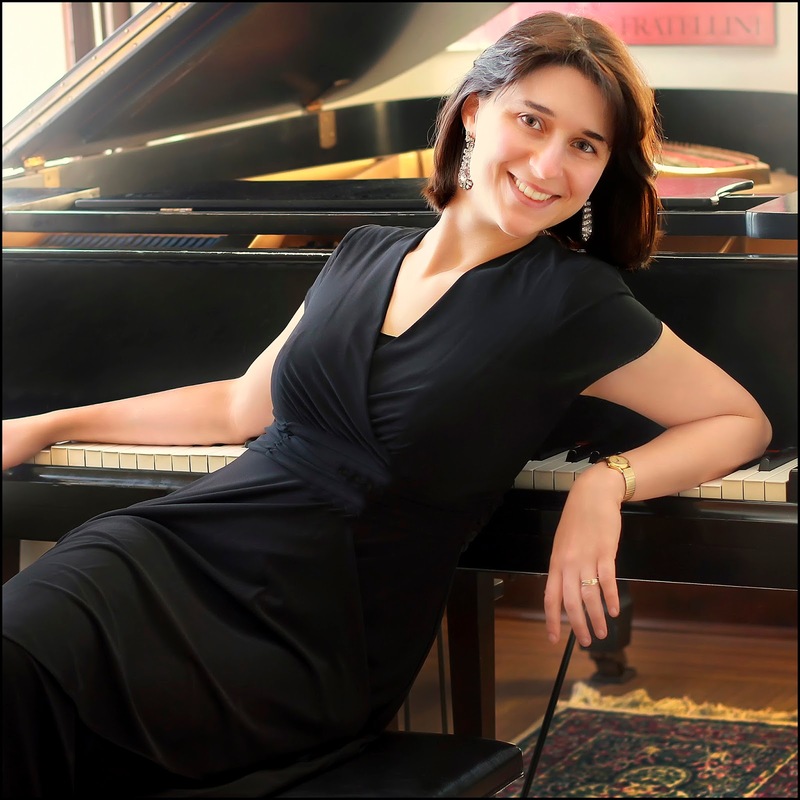 Two timeless classical works – Mozart’s Sonata No. 11 “Rondo alla Turca” and Beethoven’s Sonata No. 8 “Pathetique” – are vividly re-imagined; the Beethoven interwoven with a variety of Songbook themes, and the Mozart an excursion into boogie-woogie, stride, barrelhouse, bebop and swing. Three more classical works are contained within five medleys, each integrated together seamlessly into a unified whole. A punchy take on Ravel’s Prelude from Le Tombeau de Couperin melds with a Latin-tinged excursion on Rodgers & Hammerstein’s My Favorite Things; an evolved version of Chopin’s Minute Waltz is birthed from a captivating musing on Ellington’s gorgeous Prelude to a Kiss; and a beautifully poignant rendition of Debussy’s Reflets dans l’eau blends with the equally exquisite Gershwin masterpiece Our Love Is Here to Stay. The other two medleys reflect upon another element that is present throughout the album – homage to some of Laura’s deepest inspirations. Three of her favorite Chick Corea pieces – No Mystery/Now He Sings, Now He Sobs/Spain – are combined for a sumptuous feast; and Bill Evans is offered her personal heartfelt tribute with her own composition Waltz for Bill, morphing into an upbeat take on Cole Porter’s It’s De-Lovely. The spirit of homage continues with a solo jaunt on Fats Waller’s Handful of Keys incorporating stride, barrelhouse, waltz and touches of Erroll Garner and Bach; and three originals – Kelly Green, a sojourn in bouncy blues quite appropriate to its subject Wynton Kelly; Invention for Nina, evoking the spirit of Bach for his great admirer, the glorious Ms. Simone; and a tribute to Laura’s primary influence, Oscar Peterson, in the confident easy swing of Ode to O.P. Oscar’s influence is also on display in the up-tempo album opener, Steve Allen’s This Could Be the Start of Something Big; Gershwin on tap again for I Got Rhythm with a modern and modal twist; and blazing the proper mode for Michel Camilo’s Latin burner On Fire; while Donald Brown’s New York has the vehement in-your face quality of its namesake in both composition and performance. Six more of Laura’s originals comprise the remainder of this terrific album, including the up-tempo smoker Green Arrow; the grooving romp Something’s Cookin’ ; the appropriately rumbling and tumultuous Thunderstorm with Laura in McCoy Tyner-ish intensity; and Doc Z, based on the chords of Sonny Rollins Doxy with Laura in the blues mode of Oscar, with a nice touch of Red Garland in tow. Reprised from Laura’s acclaimed debut album Introducing the Laura Dubin Trio (as is Ode to O.P.) are Anxiety, driven by infectious bass ostinatos and the rollicking album closer Barcelona, alternating between scorching and swinging with Laura in that Spanish chord drive in the manner of McCoy on Coltrane’s spectacular Olé. A splendid expedition from start to finish, this radiant music is marked by another element that is so important – a sense of sheer joyousness in the spirited essence of making music.